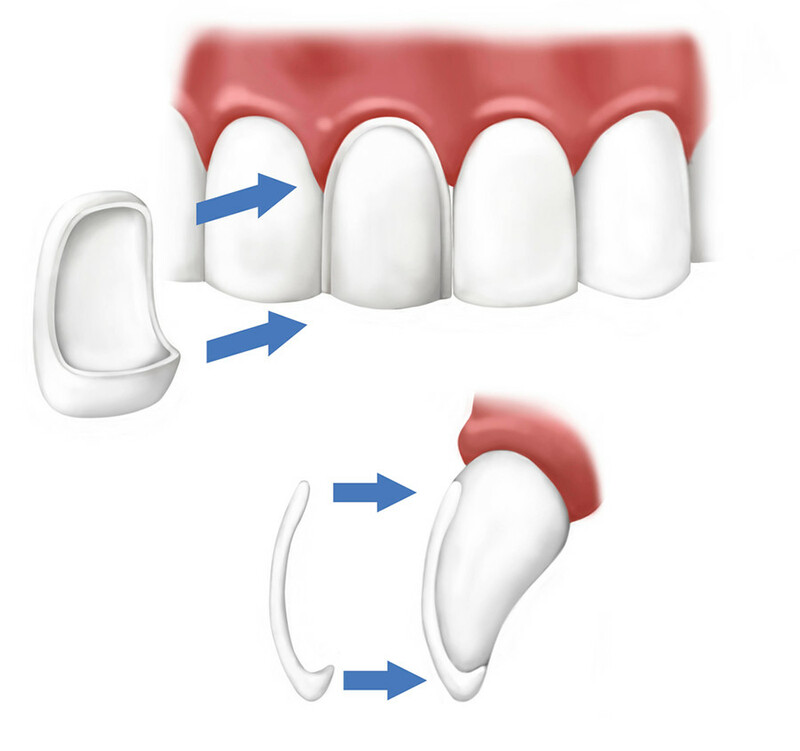 Veneers are very thin, (about .5 mm), but are very strong once bonded to the teeth. They have a life-like appearance. With veneers, the spacing, alignment and color can be corrected to create a natural great smile. In my office, you and I have a discussion and consultation to establish what you want to accomplish and what can be done. It takes a lot of expert training of both the staff and Doctor to obtain that smile you want. The results are truly spectacular.